That's a good way to brighten up what would just be a dull corner. I was wondering why you were late! 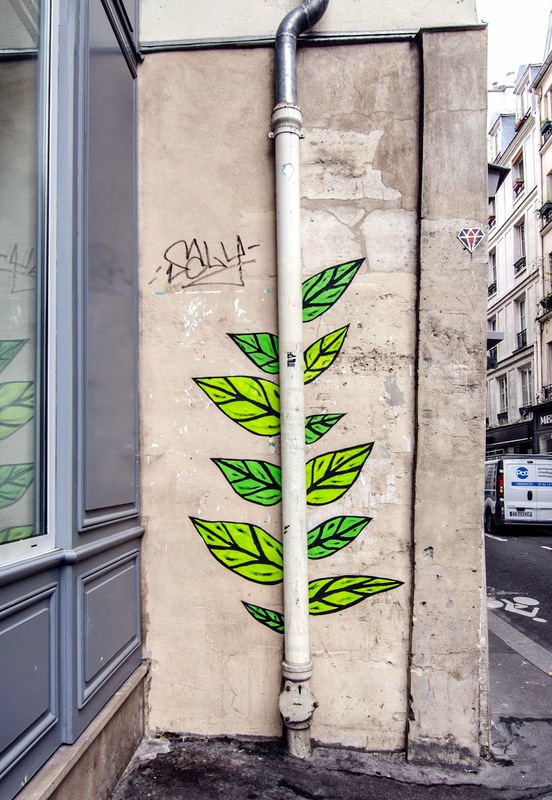 Anyway this graffito shows one thing : this plant is an evergreen plant that has leaves throughout the year... Nice find....Eric !